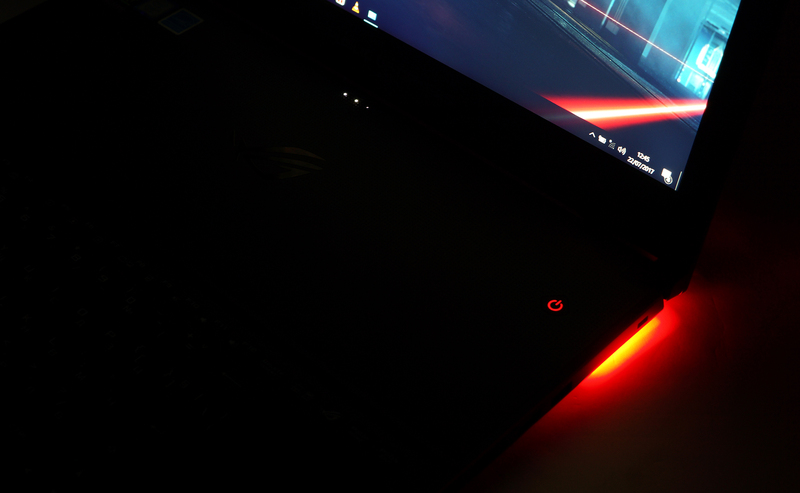 ASUS ROG Zephyrus GX501VI review – a gaming ultrabook with a desktop-like performance? 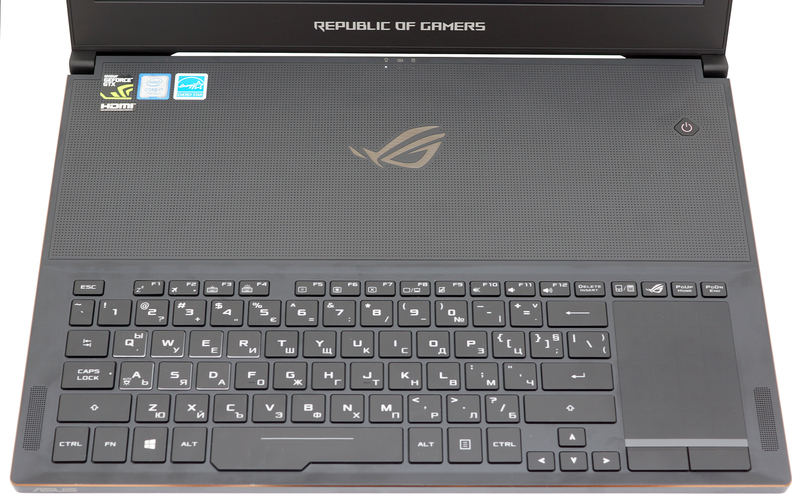 LaptopMedia.comReviewsASUS ROG Zephyrus GX501VI review - a gaming ultrabook with a desktop-like performance? There has been a lot of buzz around the new NVIDIA Max-Q design and there’s a big reason why. NVIDIA’s new “fancy technology” finally allows implementing a powerful GPU inside a lean and portable chassis. 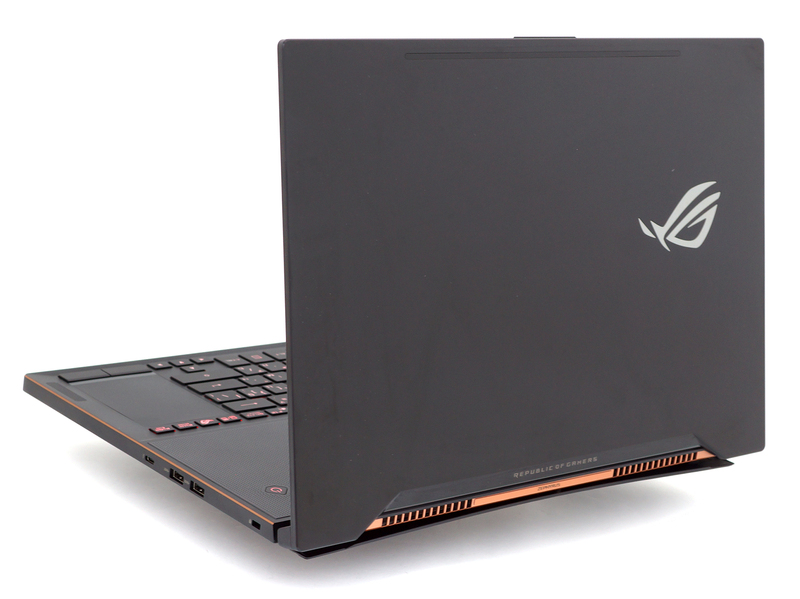 And so the ASUS ROG Zephyrus notebook is one of the first to receive the GTX 1080 with Max-Q design resulting in really small trade-offs in performance and decent thermals under load. But in order to achieve that, ASUS used an unusual design similar to the Acer Predator Triton 700. Sounds too good to be true, doesn’t it? Well, with Intel Core i7-7700HQ and a GeForce GTX 1080 (Max-Q) under the hood, the Zephyrus is able to run all of the latest games at high to maximum graphics settings without a sweat. When you add the 120Hz 15.6-inch IPS display and a speedy M.2 PCIe NVMe SSD for buttery smooth gaming and working experience, it’s not hard to guess the price of this thing. Starting at around $2 700 for the GTX 1080 you wouldn’t expect anything less than stellar performance in all aspects? But is it so? 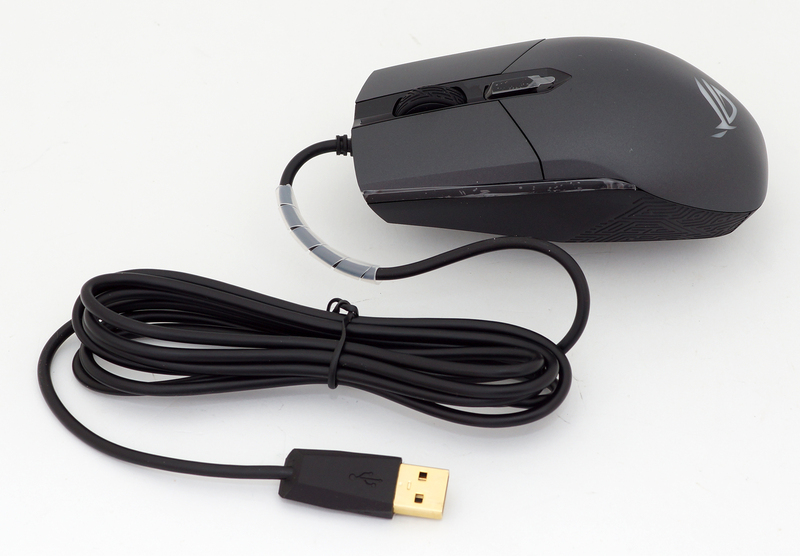 The Zephyrus comes in a generous package with plenty of useful accessories including a screwdriver for easier disassembly of the notebook, although this is quite a hassle and a USB-A to RJ-45 adapter for more stable wired connection during gaming. There’s also a silicone palm rest extension for more comfortable work and a ROG-branded gaming mouse, which in our opinion is probably inferior to any other gaming mouse you would use for the laptop while gaming. If you are willing to spend so much money on such laptop, you probably already have nice gaming peripherals. As expected from a high-end gaming laptop, the whole design, build and feel exude quality. Aluminum is the main order of the day with a few exceptions like the screen bezels, which are made of plastic. And measuring at just 17.9 mm in height and weighing just 2.25 kg, this is by far the most portable 15-inch – probably the most portable of them all – gaming laptop with a GTX 1080 stuck inside. Starting with the lid, it’s really hard to tell if this is a gaming laptop or not. 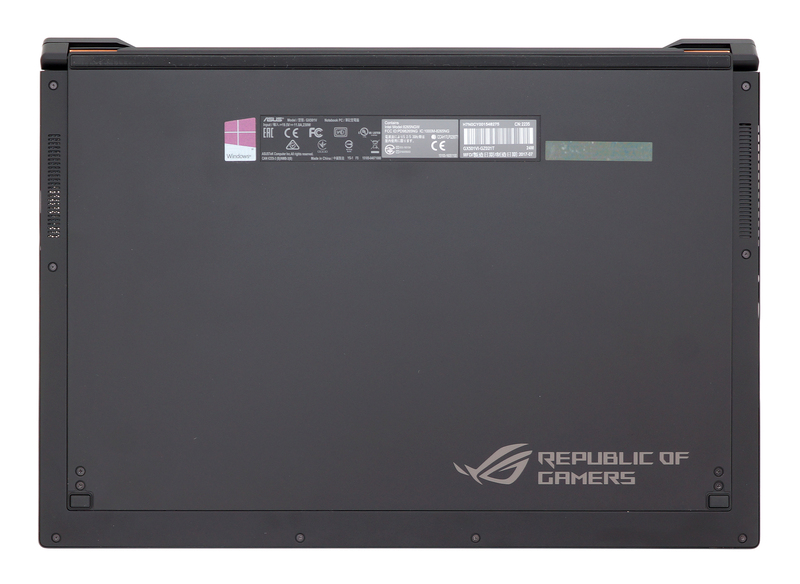 Only the ROG logo attracts attention but retains the overall simplistic and clean appearance. The backplate is made of sturdy brushed aluminum piece and as you can see from the photos above, the direction of the brush changes as you reach the middle section. We are really impressed by the design concept and the overall rigidity – it’s fairly resistant to torsion and pressure considering the thickness of the lid, of course. The hinges provide excellent stability and stealthy linear travel from the very beginning. Opening the machine with just one hand is possible. Along with the interesting design choices ASUS have made, the bottom really takes the cake here. When opening the notebook, the hinges push the bottom place and lift up the notebook a little. This gives the hardware some extra breathing room to compensate for the extremely thin chassis while giving it a pleasant aesthetic appearance. However, the lifting plate is made of plastic and it’s a little too flexible. Still, this doesn’t really make any difference in practice so you shouldn’t worry about that. 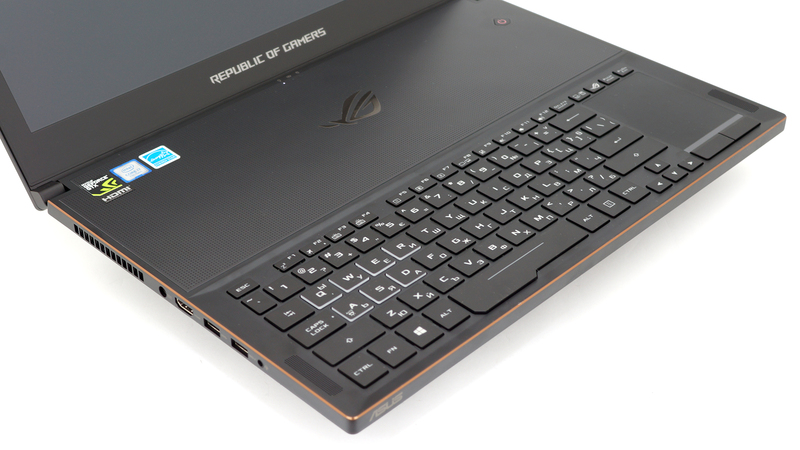 Going around the sides, you will realize how incredibly thin this notebook is – for a gaming machine that is – and the chamfered slightly gold-ish edges give the laptop a distinct look. But despite its absurdly thin profile, the Zephyrus doesn’t make any compromise when it comes to I/O. Also, the port distribution is good – the left side incorporates two USB 3.0 connectors, HDMI, a 3.5 mm audio jack and the main grill for heat dispersion. The right side has another set of USB 3.0 and a USB-C 3.1 with Thunderbolt support. The interior is where the notebook does things totally different. The palm rest area is gone while the keyboard and the touchpad have been moved down near the edge leaving a wide unused space in front of the screen hinge. The whole area is made of patterned plastic surface covered in tiny holes, which provide cool air intake for the cooling fans – the hardware and the cooling fans are located right beneath that surface. This way ASUS has eliminated the heat issues that might arise from the powerful hardware crammed up inside. Unfortunately, there’s a noticeable flex in the middle of the chassis, yet again, nothing really to worry about and it’s quite understandable given the size of the machine. 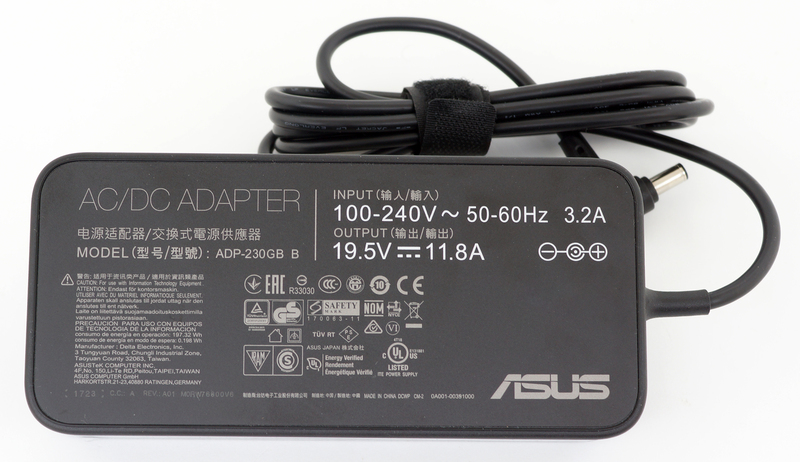 Regarding input devices, however, ASUS has cut some corners. The keyboard uses slightly smaller than usual keycaps but that’s not the issue here. Each key press results in slightly mushy and short travel making the whole gaming experience less than stellar. 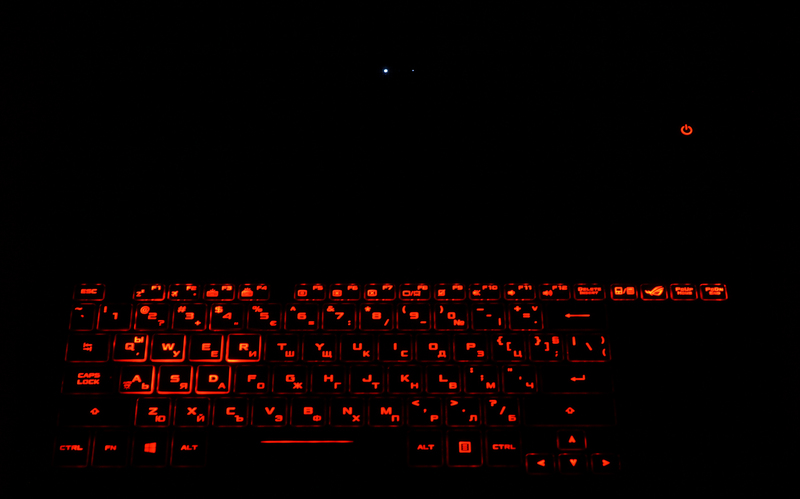 For typing, the keyboard is okay but it’s definitely not for gaming. The touchpad is another aspect in which ASUS has made some sacrifices. Don’t get us wrong, though, it’s usable – good gliding surface, comfortable mouse keys, records precise movements, it’s responsive but too small to actually get some serious work done. Also, with a single key press, the touchpad turns into a touch-enabled Numpad block and you can never have both at the same time. Nevertheless, it’s definitely better to have the option of a Numpad area, although it takes some time adjusting. When it comes to upgradability and ease of access, the Zephyrus won’t impress you. The laptop has limited upgradeability options and it’s really hard to disassemble. 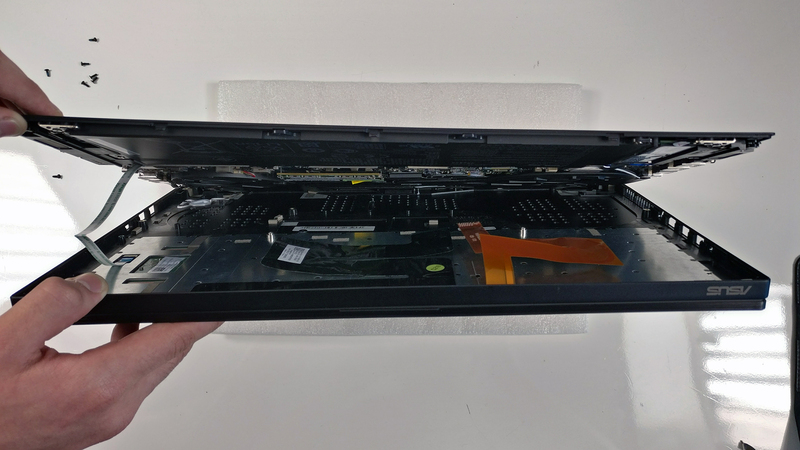 First, you will have to remove the bottom panel that lifts up the notebook and then proceed with all of the remaining screws. 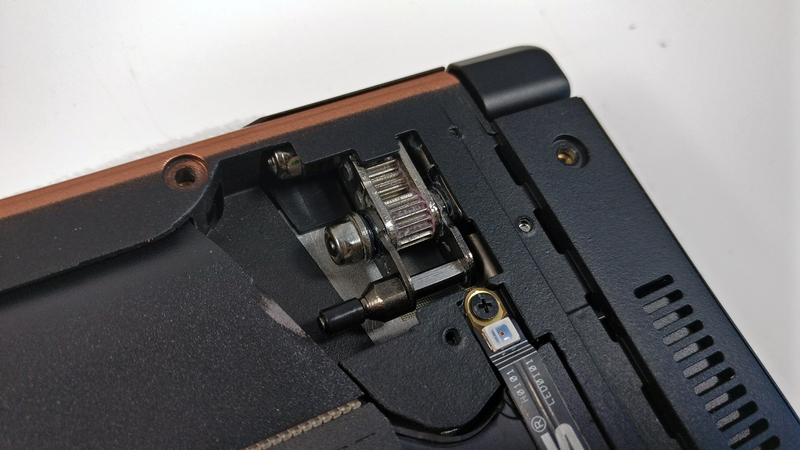 Removing it will reveal the sophisticated hinge mechanism, which should also be removed if you want to perform a full disassembly of the notebook. But if upgrading the SSD or swapping the RAM chip is your goal, then a full disassembly won’t be necessary. 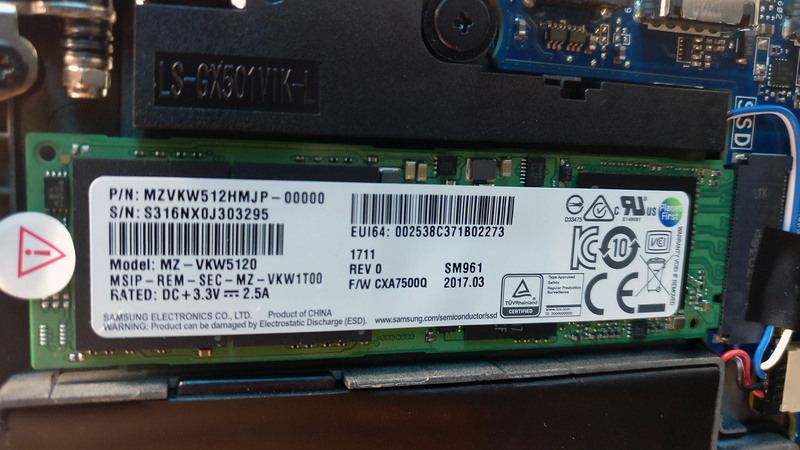 Probably due to design limitations, the laptop sports only one M.2 SSD slot, which in our case is Samsung SM961 PCIe NVMe SSD with 512GB capacity. THe most disappointing fact about this gaming laptop is the lack of RAM slots. There’s only one available for upgrade along with a soldred 8GB of DDR4-2400 memory. In most cases, 16GB of RAM (8GB soldered + normal 8GB chip, which is our configuration) will be more than enough for gaming. But enthusiasts will find the maximum allowed 24GB of RAM lower than it should be, especially for a gaming laptop. The laptop uses a decently sized 50Wh battery located under the keyboard area but it’s definitely not enough to drive all those pixels and the demanding hardware. 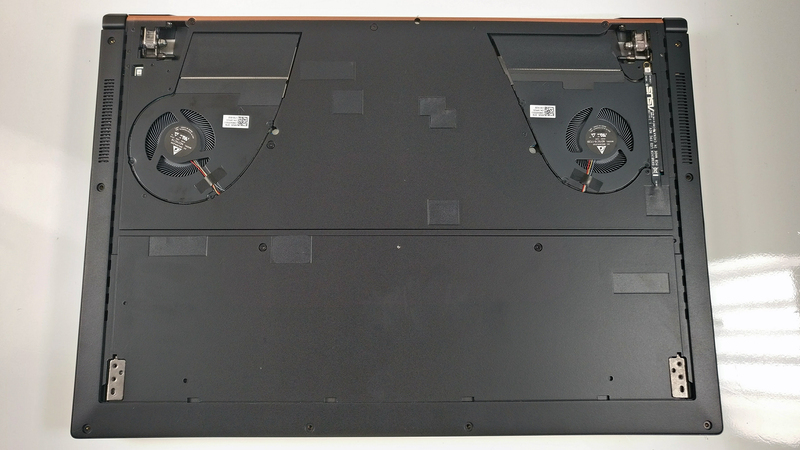 Unfortunately, we weren’t able to take clear shots of the cooling design but by peeking through the holes located above the keyboard, it consists of the usual heat pipes connecting the CPU and GPU heat sinks to the separated fans placed on the sides. The system draws cool air from the bottom and from the holes placed near the hinges and pushes the hot air out of the chassis via the grills on the back and sides. 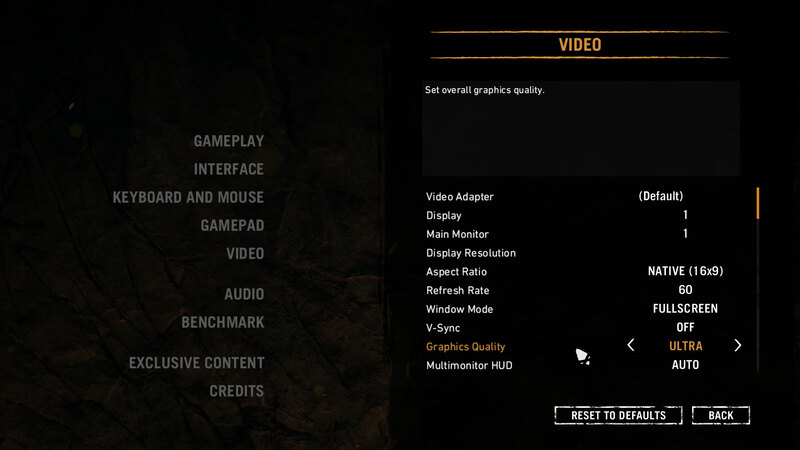 The notebook boasts a Full HD (1920×1080) IPS panel (AUO B156HAN04.2) with 120Hz refresh rate and support for G-Sync. The diagonal is the standard 15.6″, which means that the pixel density is 142 ppi and the pixel pitch is 0.18 x 0.18 mm. The screen can be considered as “Retina” when viewed from a distance equal or greater than 60 cm. Viewing angles are excellent from a 45-degree incline. We were able to record a maximum brightness of just 251 cd/m2 in the center of the screen and 242 cd/m2 as average across the surface with 16% deviation. 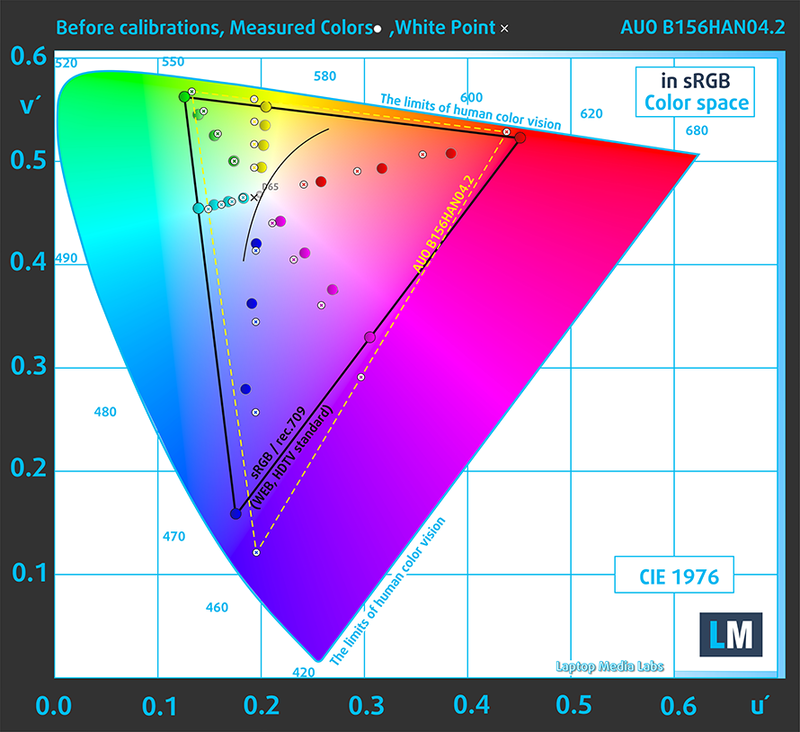 THe color temperature on white screen at maximum brightness is slightly colder than usual – 6900K. The average color temperature, however, becomes 6930K as you go along the grayscale and you can see how values change at 140 cd/m2 (49%) brightness. The maximum color deviation dE2000 at 49% brightness is 3.8, which isn’t perfect but it’s perfectly fine since values above 4.0 are unwanted. 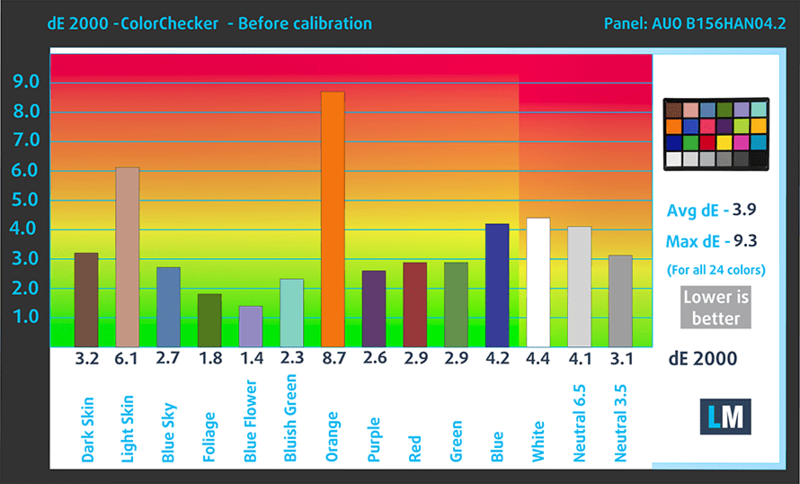 The maximum contrast ratio is 1130:1 and goes down to 820:1 after calibration. The sRGB coverage of this panel is 92% in CIE1976 making it excellent for multimedia and gaming purposes. We recorded Fall Time + Rise Time = 22 ms.
Pulse-width modulation (PWM) is an easy way to control monitor brightness. When you lower the brightness, the light intensity of the backlight is not lowered, but instead turned off and on by the electronics with a frequency indistinguishable to the human eye. In these light impulses the light/no-light time ratio varies, while brightness remains unchanged, which is harmful to your eyes. You can read more about that in our dedicated article on PWM. 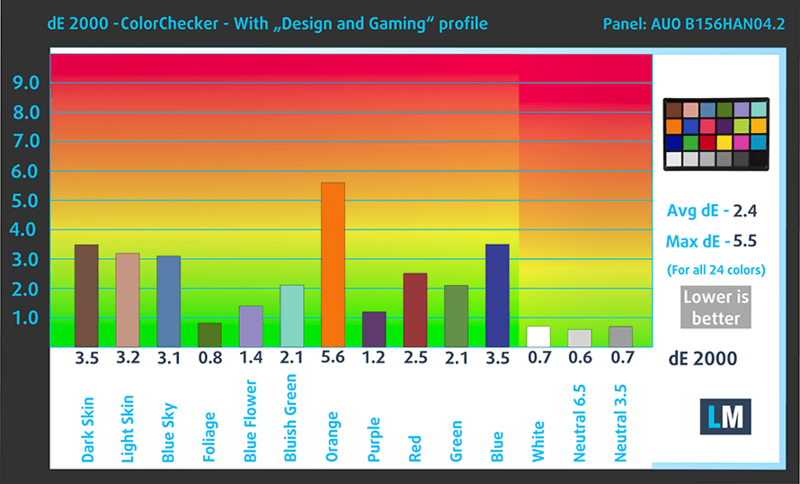 We are happy to report that there’s no PWM across all brightness levels so users with sensitive eyes should rest assured during long gaming sessions. The Zephyrus’ display uses a seemingly perfect IPS panel with plenty of gaming-oriented properties – wide sRGB coverage, high contrast ratio, support for G-Sync and 120Hz refresh rate. The last two features provide perfectly smooth gaming experience but there’s one little drawback – the panel’s maximum brightness is just 252 cd/m2, which might not be enough in some cases. A minor flaw but still worth considering by some users. Moreover, the panel doesn’t use PWM across all brightness levels so it shouldn’t put unnecessary strain on your eyes even during the longest gaming sessions. The sound quality is rather good with slight distortions in the low and high frequencies. We used the pre-installed Windows 10 Pro (64-bit) for the writing of this review but if you want to perform a clean install without the unnecessary bloatware, we suggest downloading all of the latest drivers from ASUS’ official support page. 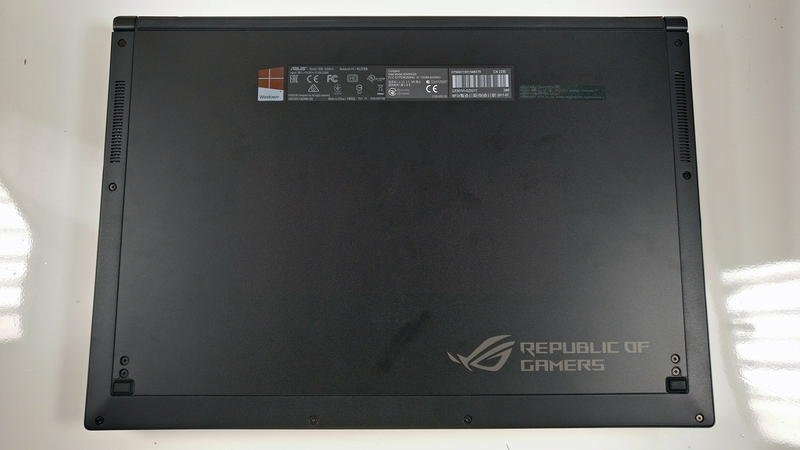 Usually, gaming laptops sport huge batteries that compensate for the lack of switchable graphics support (due to the G-Sync not supporting NVIDIA Optimus) and the overall power-hungry hardware (high TDP CPU and GPU) but this time around, due to obvious reasons, the ASUS ROG Zephyrus can’t incorporate a large unit. The design limitations have allowed ASUS to cram up just 50Wh unit inside the chassis, which is barely enough to keep the system running for any longer than two or three (at the very most) hours even under light load. All tests were run using the same settings as always – Wi-Fi turned on, screen brightness set to 120 cd/m2 and Windows battery saving feature switched on. Far from satisfactory score even for a gaming laptop- 185 minutes (3 hours and 5 minutes). Even lower on the video playback test – 167 minutes (2 hours and 47 minutes). Looking at the previous results, we didn’t expect good runtimes on this one as well – just 43 minutes. Here you can see an approximate comparison between the CPUs that can be found in the ASUS ROG Zephyrus (GX501V) models on the market. This way you can decide for yourself which ASUS ROG Zephyrus (GX501V) model is the best bang for your buck. Here you can see an approximate comparison between the GPUs that can be found in the ASUS ROG Zephyrus (GX501V) models on the market. This way you can decide for yourself which ASUS ROG Zephyrus (GX501V) model is the best bang for your buck. Of course, the usual stress tests that we perform are so demanding that they rarely (almost never) represent real-life usage. However, these torture tests are still the best way to assess the overall stability and effectiveness of the cooling system in the long run. We started off with 100% CPU load for an hour and we were instantly surprised by the decent thermals this little fellow was able to provide. 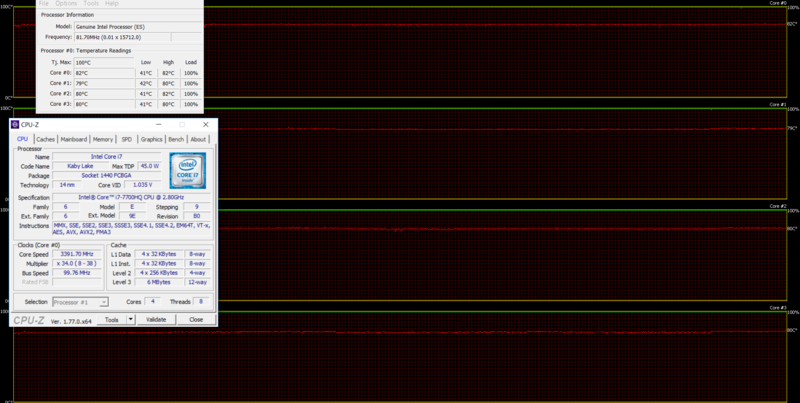 The Core i7-7700HQ ran at its maximum potential at 3.4 GHz without breaking a sweat without going above 80 – 81 °C. Thicker gaming laptops with the same processor sometimes struggle to keep these temperatures. 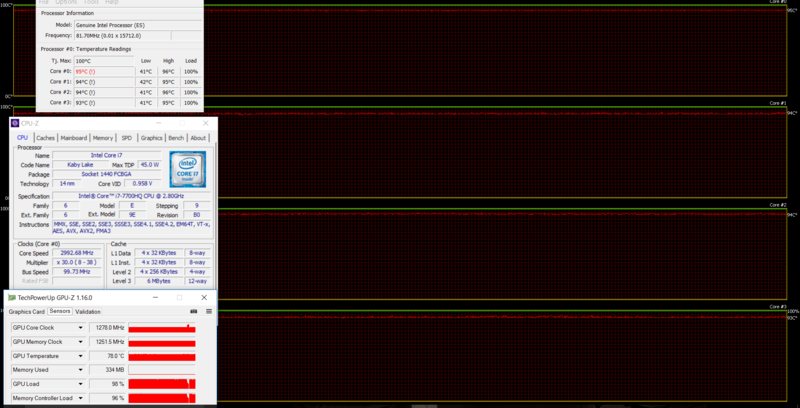 Of course, turning on the GPU stress test resulted in higher CPU temperatures hitting 95 °C and lowering the clocks to 3.0 GHz. No thermal throttling occurred. As for the GPU, we were quite surprised to see that the chip was able to run at more than 1300 MHz for a while before going back to 1278 MHz and doing so at lower than usual temperature – 78 °C. For the record, the Alienware 17 R4, which sports a full-fledged GTX 1080, ran at 81 °C during our stress test so it seems that the so-called Max-Q design really does make some difference when it comes to thermals. Quite expectedly, the surface of the laptop became pretty warm, especially around the center of the interior. We’ve recorded above 50 °C but thanks to the design of the Zephyrus, this will not affect the user because the keyboard is moved away from the heat source. Moreover, we noticed that the fans weren’t obnoxiously loud (high-pitched) and even during full load, the Zephyrus was relatively quiet. Finally, we have a new generation of ultra thin gaming notebooks without sacrificing too much performance. 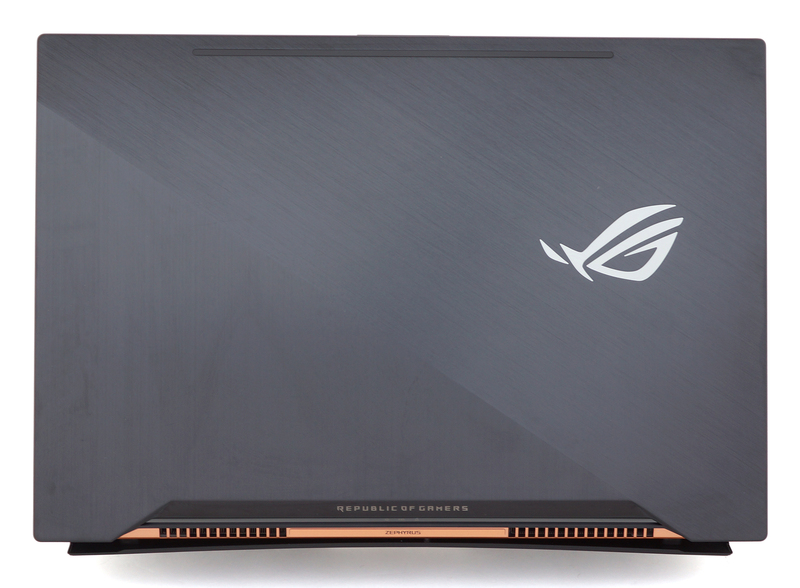 The ASUS ROG Zephyrus is one of the first of its kind and impresses with high-quality build (although a bit flexible at times but given the thickness of the case, it’s quite understandable), unmatched portability and desktop-like performance. 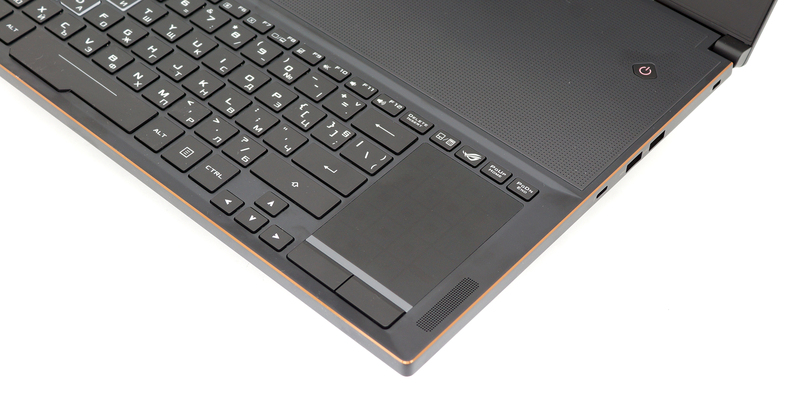 What we didn’t like about the design, though, is the shallow keyboard and Numpad/touchpad hybrid solution. Also, due to the design limitations, ASUS wasn’t able to put a monstrous battery inside the chassis, so battery life suffers quite a lot as a result. Anyway, when we say desktop-like performance in 15-inch ultrabook, we are not exaggerating at all. It turns out that NVIDIA did almost the impossible. The GTX 1080 Max-Q performs so well that you can barely notice the difference in real-world frame rates during gaming compared to the full-fledged GTX 1080 while being impressively optimized – noise and TDP-wise, that is. It still requires some serious cooling capabilities and you can see that from our temperature tests but the whole design of the machine is to keep the heat away from the user’s hands. It appears to be fairly effective. But to take advantage of all that horsepower, you need a good screen, right? 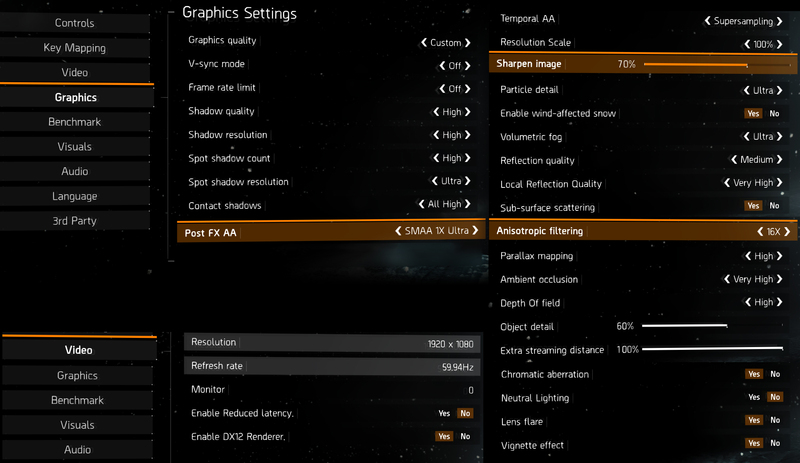 Well, the ASUS ROG Zephyrus checks another box on our list with an excellent IPS panel with wide sRGB coverage, good contrast, no PWM, G-Sync support and super fast 120Hz refresh rate. The only drawback here is the limited maximum brightness but it shouldn’t be a problem for most users. So is the Zephyrus for you? It depends on what you want. 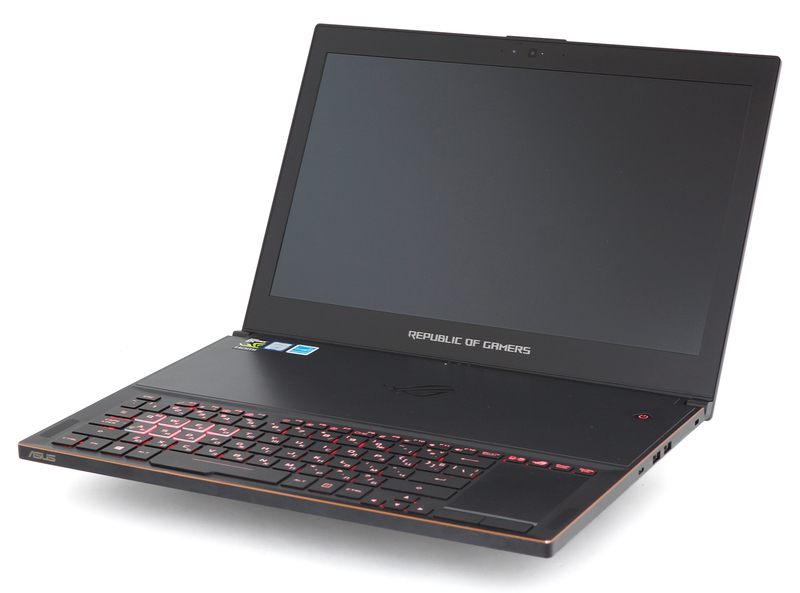 Compared to a GTX 1070-powered gaming laptop, the Zephyrus prevails with portability and performance but costs considerably more. And if you put it against a GTX 1080-powered gaming machine, ASUS’ solution still comes on top when it comes to portability but drags behind by a few frames when it comes to real-world performance. 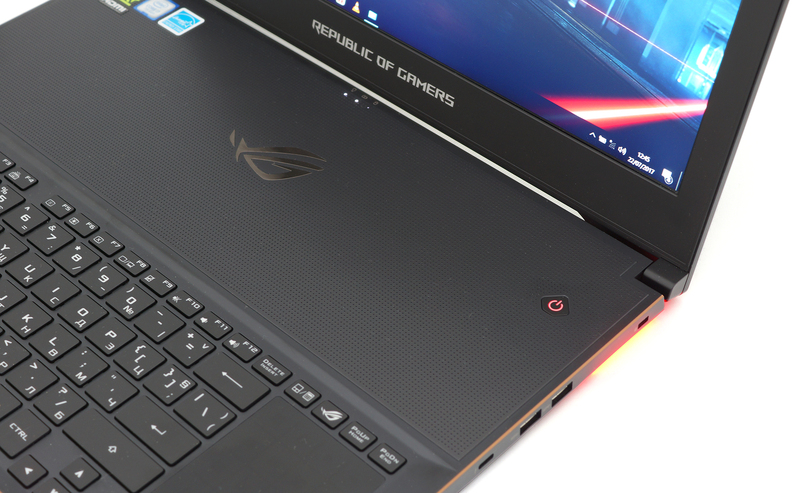 What surprised us, though, is that the Zephyrus is considerably cheaper than some GTX 1080 configurations like the Razer Blade Pro, Alienware 17 R4 and the ASUS ROG G701VI. The deal-breaker, in this case, would be the limited upgradability – only one M.2 SSD slot and one RAM slot free for upgrade – features that have become a standard in the gaming segment.